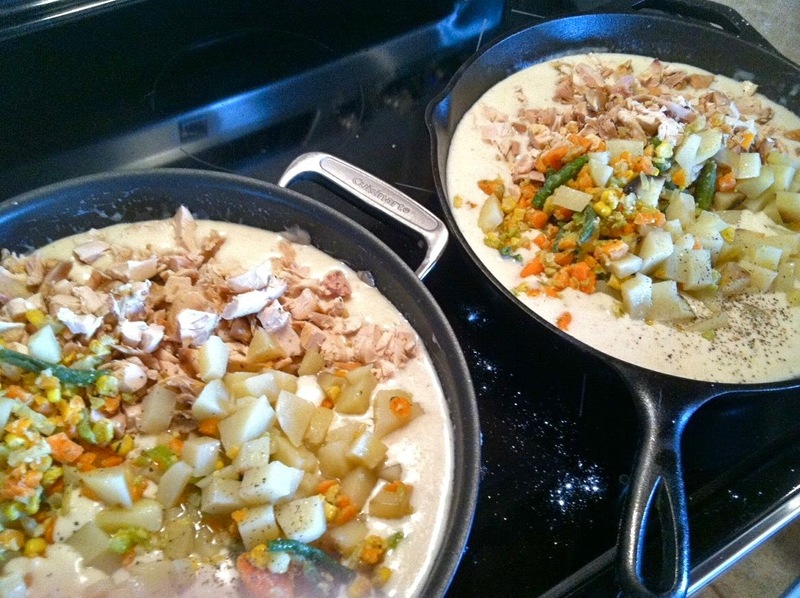 This week we're hosting turkey hunters so what better recipe to showcase than my Turkey Pot Pies. You can see my original post here with the recipe. 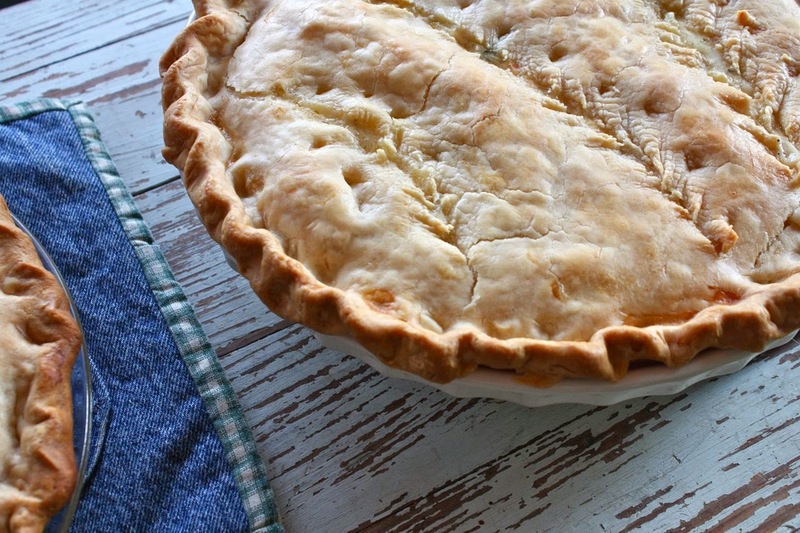 In today's post I wanted to show you my second round of pot pies, this time using cooked chicken. 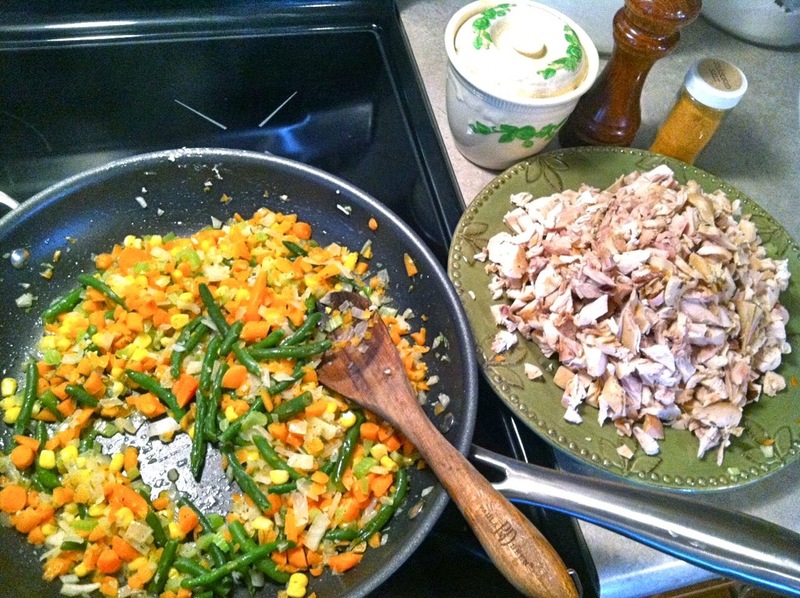 I started off with the sauteed veggies and chopped chicken. 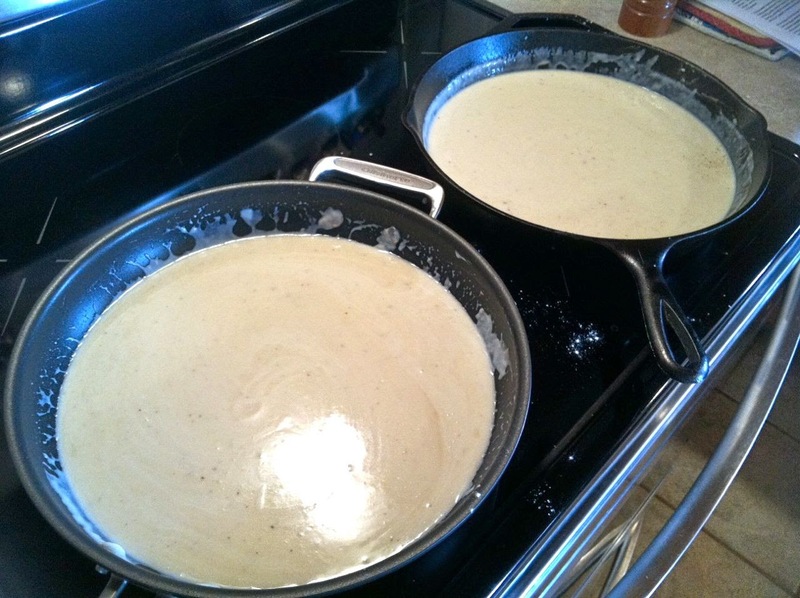 Two big batches of the creamy sauce, ready for all the fillings to be added. 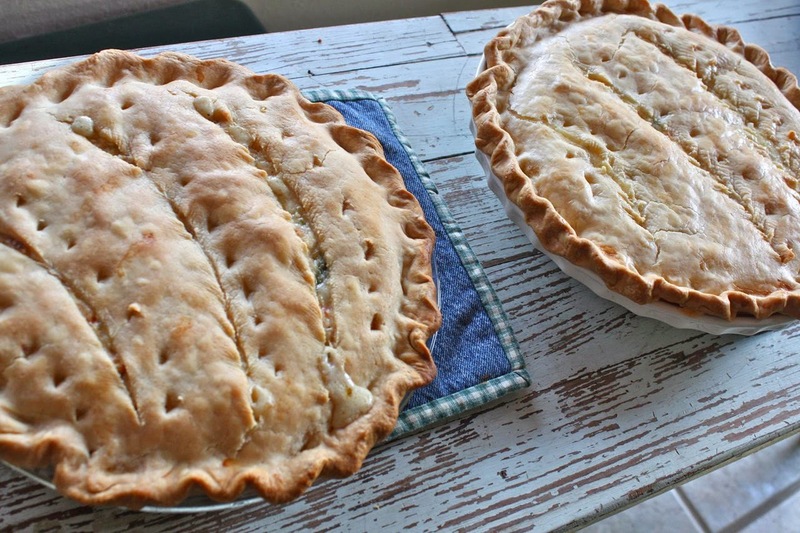 I made two pot pies on this day....one for my family and one for a family whose son just had shoulder surgery. All the veggies, meat and seasonings are added. About that time, my mom stopped by for a visit. 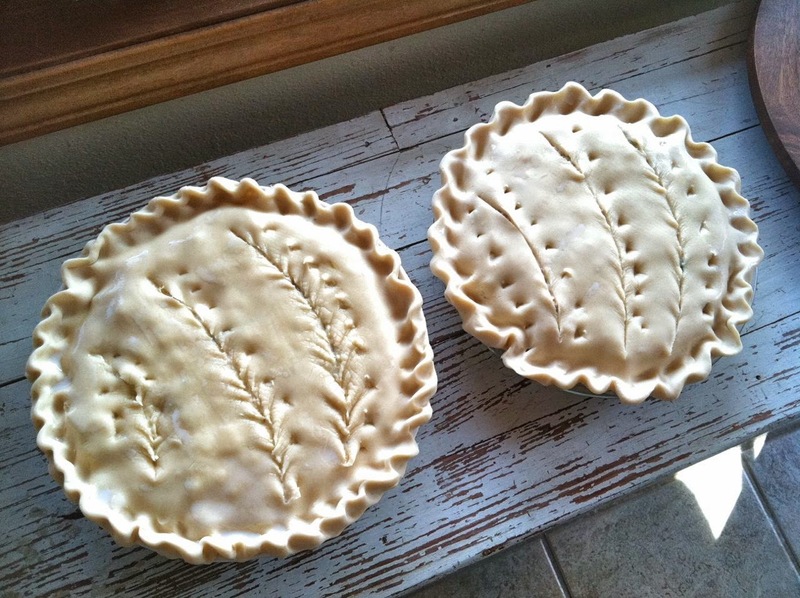 Jordan and I were just about to start filling the pie crusts. 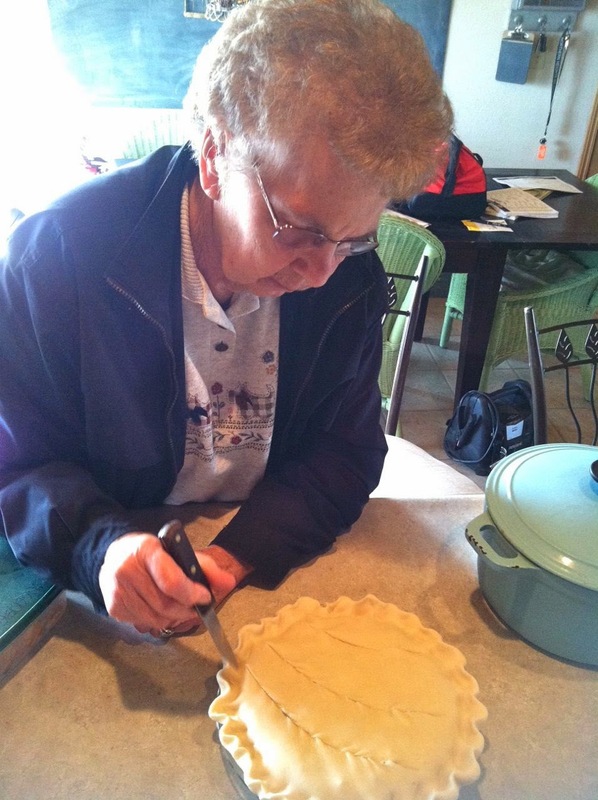 My mom taught me how to crimp a pie crust so I gave her the honors today on one of the pies. As always, her little pinched edges were perfection. 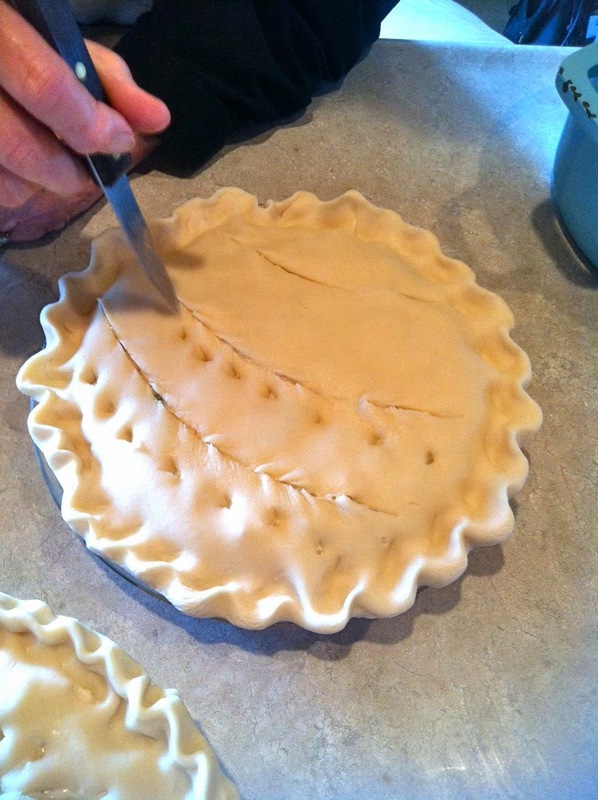 Then it was time to cut vents in the pie. I asked Mom if she wanted the honors. What she did next made me freak out a little. She started carving into the crusts. What the? But she worked her magic and created the most beautiful designs on the crusts. 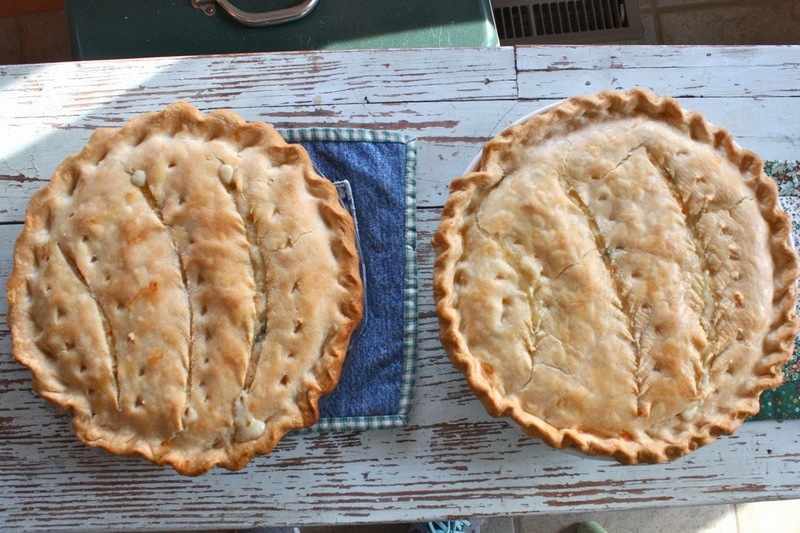 My maiden name is Wheat so she thought that wheat stalks were perfect on pies. Would you look at that pretty picture? I never would have thought of it. I usually just cut simply slits for vents. 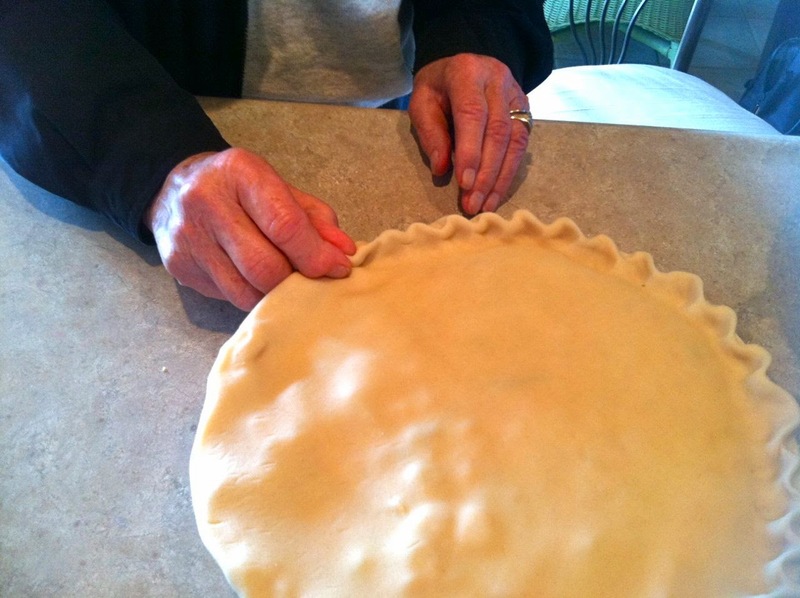 The pies couldn't go into the oven without a little brushing of milk. That's always been my mom's secret to beautifully browned crusts. Boy, did they turn out pretty. 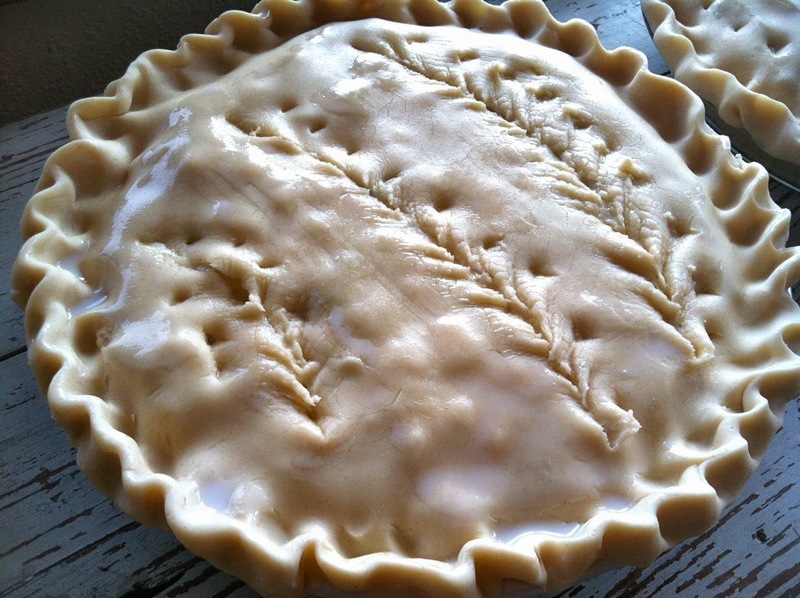 There's something so beautiful and rustic to me when you bake a pie or bread from scratch. You can definitely tell there is a handmade feel to each piece. It was suiting to use these pot holders that my mom sewed up some time ago. She was into a phase where she used old jean pockets which I love. The log cabin design is also a favorite. One for our family and then this pie went on it's way to our friends house. I always think a basket lined with pretty linens is a fun way to delivery homemade goodies. Our friends loved the chicken pot pie. 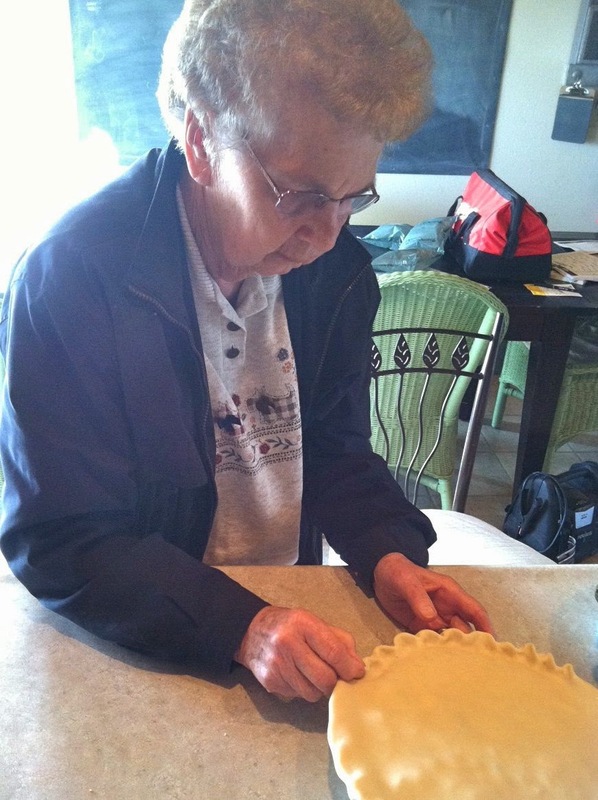 My mom said she is waiting for her invitation soon for more pot pies. Sounds like a good reason to roast up a turkey to me. Thanks for stopping by and have a great weekend! 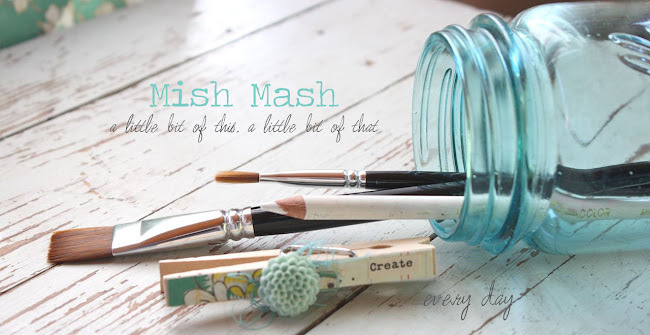 I've got a fun new post coming up introducing a new project. 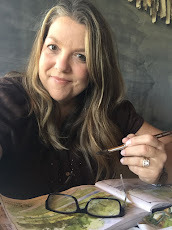 I can't wait to get it all together so you can join along in my progress. Any guesses? my god, they are beautiful. your mom is a treasure! 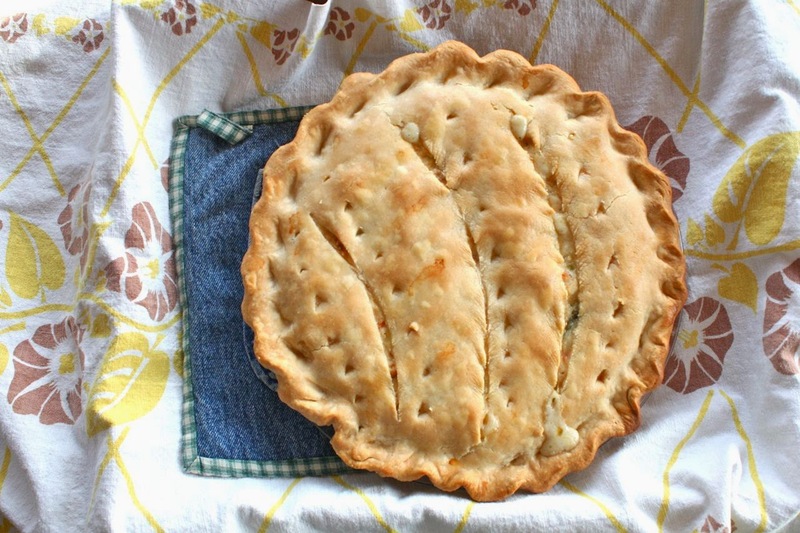 Those pot pies are beautiful! You can tell just by looking at them how flaky the crusts are. Delicious I'm sure! OMG, just looking at the pics made me hungry!!!! Yummy!!! Kansas isn't far away from here....but there probably isn't any left! 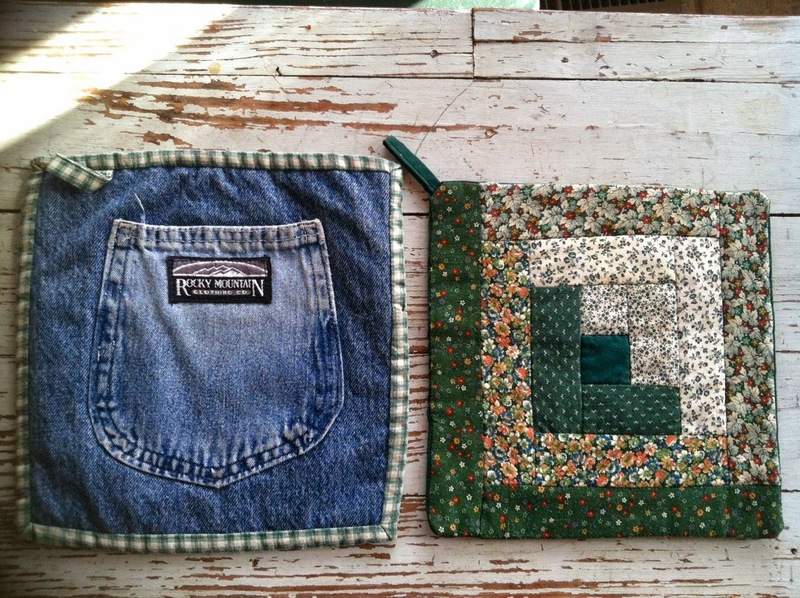 I love the potholders and have LOTS of old jeans. I need to make some of those. Great share.